LUXERI offers a wide range of cables (break-out, mini break-out, unitube,multitube), cords, pigtails, octopus. 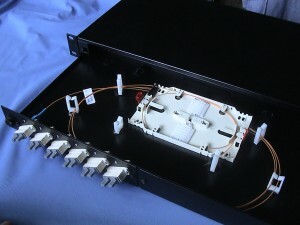 This range can be manufactured in single-mode or multi-mode silica fiber. LUXERI assembles and assembles any type of connector (SC, LC, FC, SMA, ...) on single-mode and multi-mode silica fibers for different diameters of core and cladding / optical cladding.